Ingersoll Consulting, Inc. is an authorized Autodesk® developer with over 26 years of experience building solutions for automated design, manufacturing, architectural facility design & management, as well as providing the Department of Defense a unique full spectrum Geospatial mission planning, data analysis and production tool that supports the Airfield & Assault Zone data collection mission. Point of Impact Consulting, Inc.
With over 26-years of experience, Point of Impact Consulting provides technical expertise in the collection and analysis of aerospace data related to air evacuation & humanitarian relief planning. They also offer expertise in the creation of crisis planning products & mapping services for soft target facilities, useful to various U.S. Government agencies and first responders during an emergency response to an incident, and offer product creation services for medical facility compliance with the current national medical facility mapping requirements. Additionally, they provide services for geospatial data collection & analysis, and digital collection hardware/software development, testing and training. Delivers innovative mobile field data collection solutions to the U.S. Department of Defense as well as major investor-owned utilities throughout North America. Their software and advanced GPS mobile technologies have enabled customers to shed manual, inefficient data collection processes and optimize the speed, accuracy and cost of gathering and analyzing critical in-the-field data. GSI’s Surveyor™ software offers the U.S. Department of Defense a proven platform for shaving time delays and risks to data collection teams. The GSI technical core provides the architecture for applications that inter-operate with a broad range of industry-standard operating systems, database platforms, data collection methods, and external systems. KSE offers an extensive line of DCP products to meet your specific needs; featuring both Single and Dual-mass Hammers, Disposable Cones, Data Collection Systems and our new Automated DCP. They also offer Moisture Measuring Devices, and Light Weight Deflectometers for your Surveying needs. LTI is the industry leader in the design and manufacturing of innovative laser-based speed and distance measurement instruments including laser rangefinders, speed guns & sensors. They also specialize in tilt and compass sensors, allowing you to measure heights and azimuth bearings. 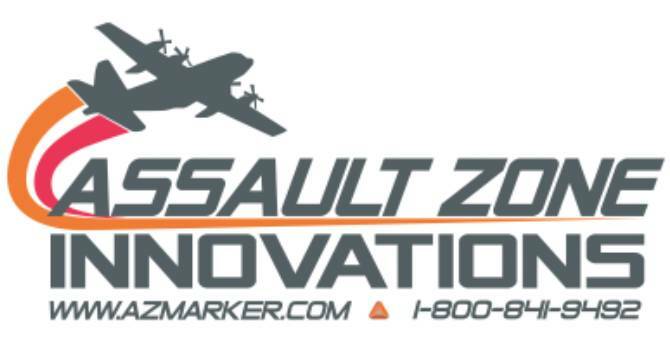 Assault Zone Innovations, LLC is the industry leader in developing and manufacturing quality Tactical Visual Naviads (Tactical Runway Markers & Raised Angle Markers), to meet the growing need of the military. Clark Brinkley has been working with STS for over five years specializing in media and photographic services including consumer UAV operation, WordPress management, SEO optimization, and company media prioritization. Clark has been a photographer for over 10 years and specializes in travel, product, and event photography in his free time.